There are some great newsletters available that provide all the content you’ll need without you having to do the hard work. Here are some of my favorites, and why you should subscribe to them. 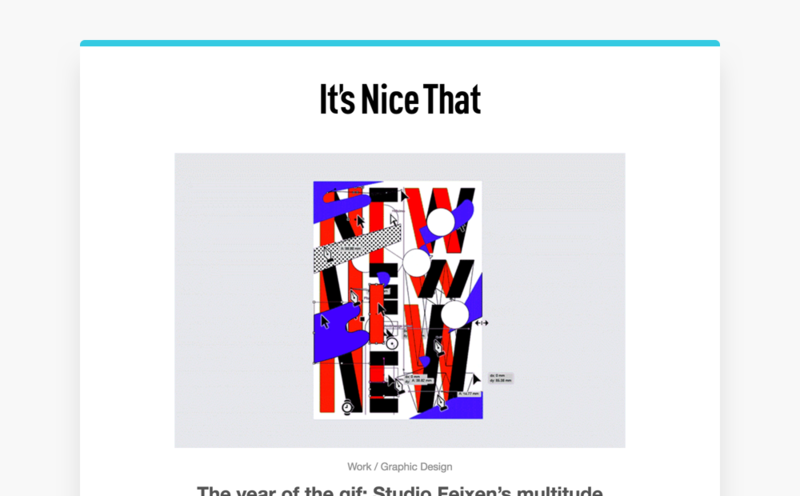 Sidebar is my ‘catch-all’ newsletter containing articles about everything in the world of creating stuff for the web. The articles are anything from general industry news to design inspiration all the way to detailed tutorials on complex SVG animations. 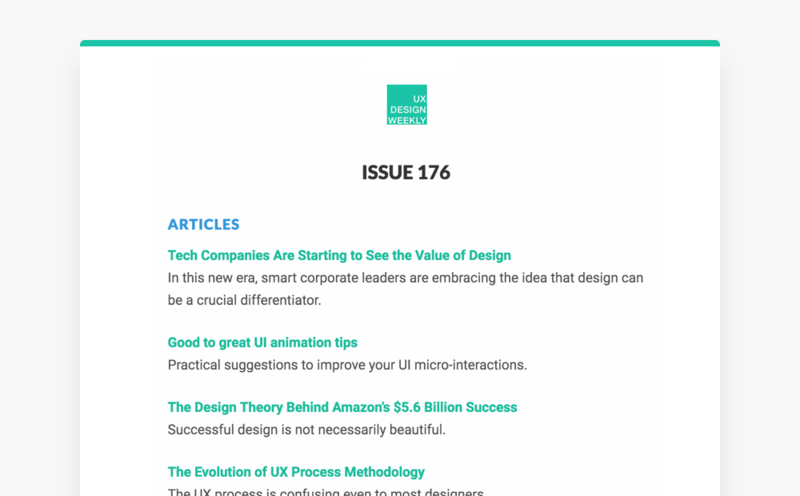 UX Design Weekly is focused on design methodology such as research and interaction tips and design theory. The articles tend to be text-heavy, but the insights are invaluable to product designers and researchers alike. 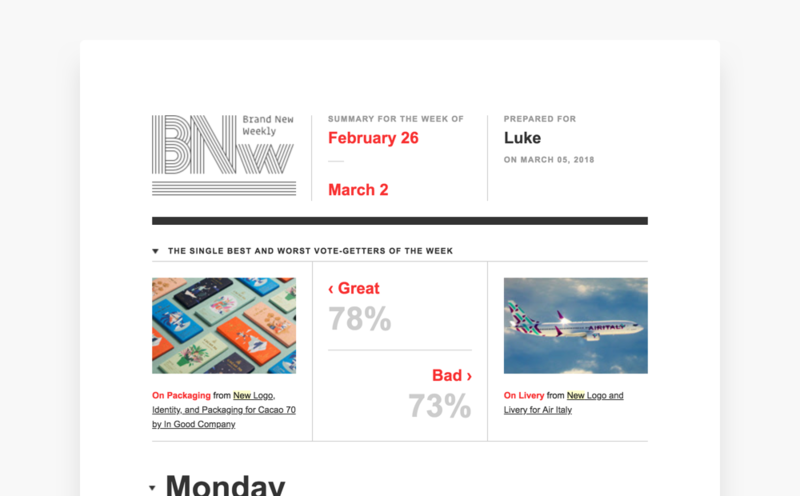 Product Design Weekly provides a sophisticated look at the current state of our industry. 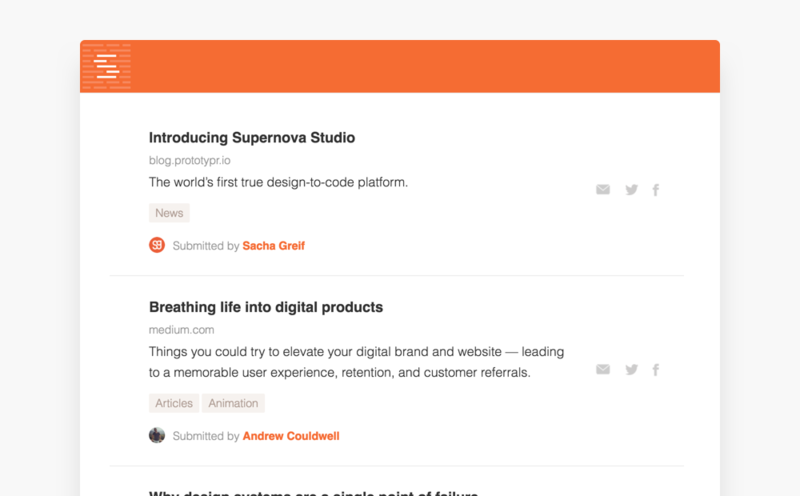 Expect thoughtful articles about design process alongside interesting interaction design. If you’re a digital designer, you should be gathering inspiration from outside of that medium too. Brand New // Under Consideration will show you how brand designers create successful (and sometimes unsuccessful) identities along with rationale and critique of the designs. My ability to rationalize and think deeper about what I’m designing can be attributed to this website. 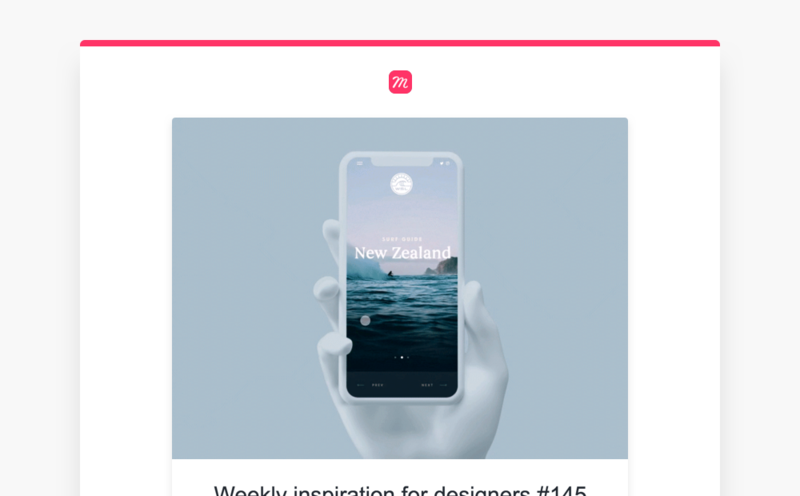 Muzli is a good place to get inspired by interesting and unique animations, interactions, and designs. It’s created by InVision and has a whole team of curators so you’ll always know that the content will be varied and interesting. 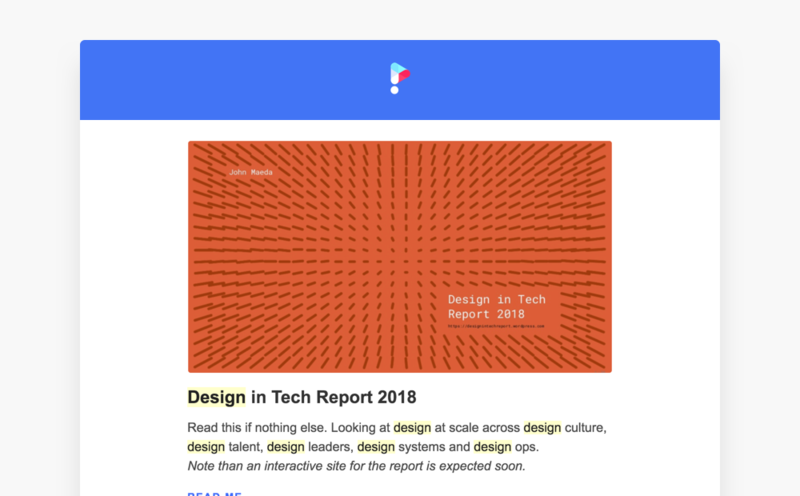 It’s Nice That is a thought-provoking design news platform focused on everything but UI design. It’s a place for the work of the world’s most creative photographers, graphic designers, interior designers, and more, is shown off and written about in detail. Reading It’s Nice That helps me think outside of the digital bubble and push the boundaries of product design. 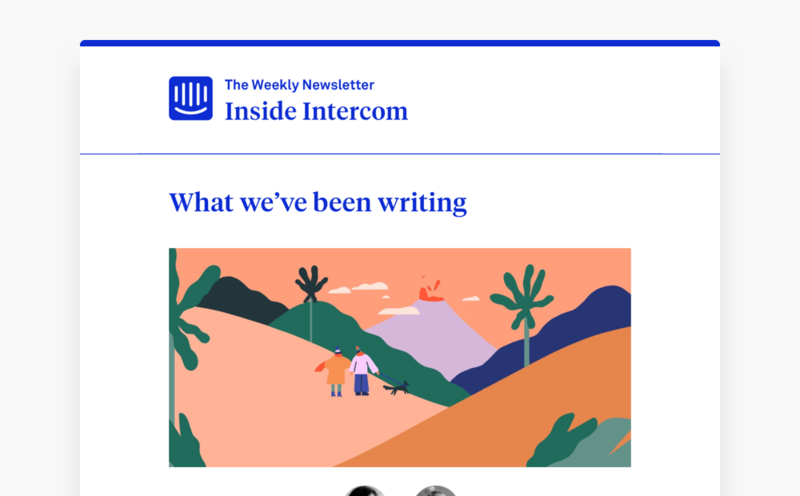 I would subscribe to the Inside Intercom newsletter for the beautiful illustrations alone, but the accompanying articles are too good to ignore. This is one of only two company blogs I subscribe to, and it covers a range of topics including project management, design leadership, case studies, and more. 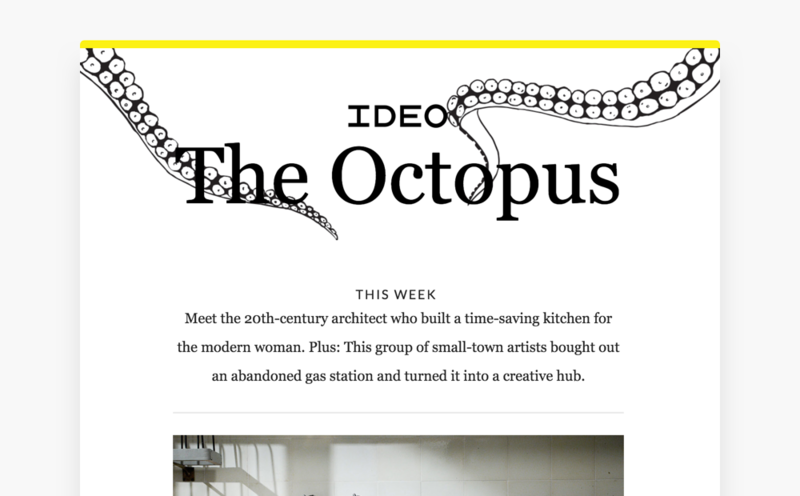 The other company blog I subscribe to is The Octopus from the world-famous IDEO. Their content is a combination of full-blown case studies, design & business advice, and inspirational profiles on world-class designers. The last thing you want is all of these emails piling up in your inbox and becoming useless, so here are a few things I do to ensure I keep up to speed without getting overwhelmed. Unroll.me allows me to add all of these subscriptions to a daily roll-up so I get them once a day in one. Keep in mind that Unroll.me is free to use, so if you’re the private type who doesn’t want data shared, try using the ‘snooze’ feature in that fancy email app instead. Have realistic expectations about what you will and won’t read. If you’re reading something and in your gut you feel like it’s not worth your while, just stop! Your time is valuable, so move on to something else.